You have 3 options available to chose from. Either one comes with your hassle free guarantee. Deluxe Package: Economic choice for windows that are not that dirty, this package will get the inside and outside of your windows cleaned, basic screen cleaning. If you are a senior citizen or our rates are outside your reach, just let us know and we will adjust our fee to fit your budget if it is possible. As far as commercial window washing service, each job is different and our rate depends on the frequency of service and the level of difficulty. 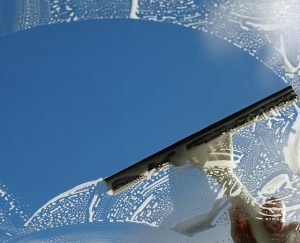 No matter where you live, removing these stubborn spots on our cars and windows on our homes is something that we’ve all have had to deal with at one time. When hard water dries on glass, the mineral deposits left behind build up to leave stains on the surface. If left for too long, they can even cause permanent damage to your windows. Don’t just take our word for it, see the examples we’ve had. It’s much more economical than buying new glass! Let us save you money! Coming home to a clean kitchen, freshly vacuumed floors and well-kept bathrooms gives us all a wonderful feeling. 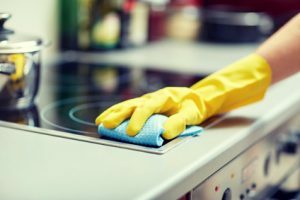 We named our business EcoCleaning Professionals in order to stress our absolute dedication to using green cleaning products and methods that are not only safe for the environment, but are also safe for our employees, our clients and especially their children, who are the most susceptible to the toxic chemicals found in many cleaning products. We offer several different service packages to make sure we have a program that will meet your needs without straining your budget. We also believe in small town values and honesty. We’re local and friendly, and we’ll look out for not only your house but your well-being. You’ll get more than you expect with exceptional service. We clean bathrooms, bedrooms, kitchens, floors, sinks, toilets and more. We can clean any of the rooms in your home, just as you wish. We will create the custom home cleaning plan that is right for your schedule and your budget.